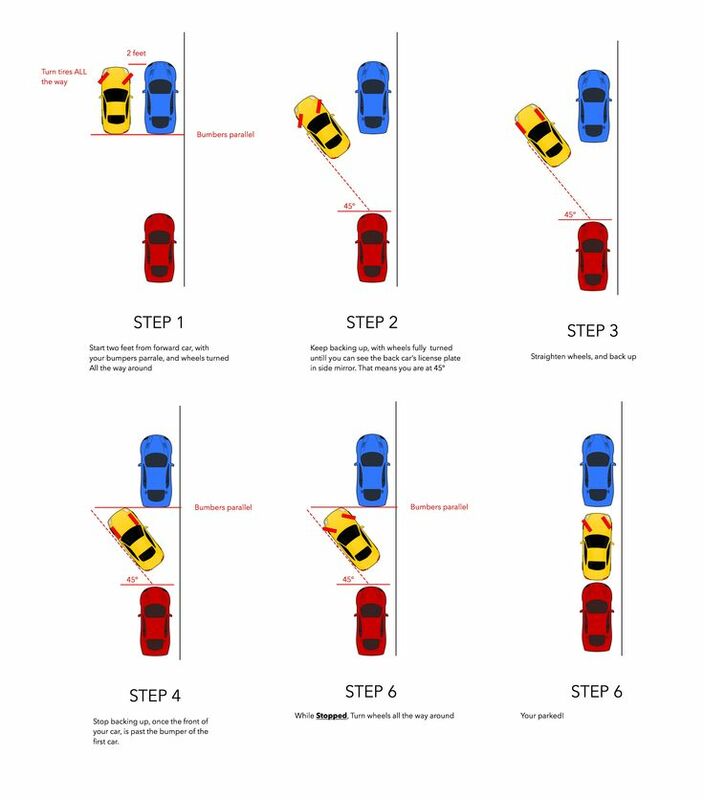 Whether it’s backing into a parking space at the local mall or a head-on spot at the community supermarket, when it comes to parking, the most challenging of these maneuvers is parallel parking, the monster of the parking world. Just trying to locate, then sizing up a space, can be challenging and down right frustrating. How can you increase your chances of successful parallel parking? Quick analysis work and some parking strategies can improve this experience, helping to make it faster, easier, and more victorious. Where can you acquire these techniques? Driving instruction information can be helpful, but there’s nothing more dynamic and interactive to get the learning juices flowing, than a live traffic education and defensive driving course. But for now, you’re entering into the information realm. To begin this journey into the cosmos for improving your parallel parking skills, there’s some great technology that assists in parallel parking. The latest devices, include back-up cameras for viewing the space behind the auto, that have guided colored lines; defogger rear mirrors, which heat up to remove ice, snow, and frost for improved visibility; and reverse back-up sensors, that guide an auto into a space with audio alerts. All of these are useful techie features, but then there are the basic must-have components, clear rear and side-view mirrors, and windows. They are tools that improve your ability to see the area well. Know your car dimensions by sight and in comparison to common area infrastructure markers, such as sidewalk slabs. They can be useful measurement tools. If you know your car is about four standard sidewalk slabs long, about 17 feet in length, and the space is about two standard sidewalk slabs long, then the car won’t fit. Familiarize yourself with the destination, especially if it’s a new area. By mapping out the location in advance, you can target potential parking opportunities. Think outside the box too. Briefly scan street parking in not only commercial districts, but residential and side streets as well. Your odds of finding a space increases by expanding the search area. Find a parking spot that provides more space than the size of your automobile, that extra footage comes in handy when maneuvering the vehicle. It can be anywhere from about 2 to 3 feet. You never know how many attempts it may take to park the car, so play space is helpful. When you’re the lucky winner of a parking space, alert other drivers and pedestrians of the intent to park by signaling with your right turn signal. Next, try aligning the vehicle directly beside the automobile parked in front of the space. The line up should be about where your vehicle’s passenger side-view mirror is approximately parallel to the middle of the driver’s side door of the car parked in front of the open spot. From here on out, it’s all about clearance and angle when parking the car. Once you check the rear and side-view mirrors, as well as, blind spots for any obstructions, and it’s all clear, put the car into reverse. Next, you completely turn the wheel to the right, making a 45 degree angle with the automobile. Keep an eye on the car parked in front of this area, this is to ensure your vehicle clears it without impact. As the back of the automobile comes close to the curb, about 1 to 2 feet, start turning the steering wheel to the left. If the rear of the car contacts the curb like a bumper car, this signals the automobile went too far back. At this point, you can pull slightly forward and straighten out the vehicle repeatedly with baby-steps until the rear tires clear the curb without contact. Once the car slips in the space, check the rear and side-view mirrors to verify that the vehicle is centered with about a foot from the curb and 2 or more feet from the automobile parked in front and behind you. Keep in mind, an ideal parking job has your car in the middle of the space with about a foot to the ledge of the sidewalk, practically hugging the curb and not your partner.